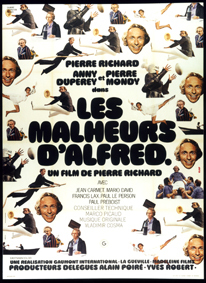 Based on the comic strip phenomenon.Pierrot, Mimile and Antoine, three childhood friends of 70 summers, appreciate that the only known way to dodge death is to grow old - and they are determined to ripen in style!However, their reunion at the funeral of Lucette, Antoine's wife, is cut short when Antoine stumbles upon an ancient letter that sends him out of his wits. Without the least explanation to his friends, he hurtles off from their native Tarn, bound for Tuscany.Pierrot and Mimile, with Sophie, Antoine's granddaughter who is heavily pregnant and ready to drop, chase the runaway in the hope of preventing him from committing a crime of passion... 50 years after the affair! Matthias Duval is in love, but he can't choose between the two twin sisters Betty and Liz Kerner. To pick up the two sisters, he invents his own twin brother and will play both characters. Christine is desperate to recover her 17-year-old son, Tristan, who has run away from home. The police are making no headway, and Paul, the father, hasn?t got the strength of character to look for his son. So, Christine invents a huge lie. She calls her two childhood lovers, Lucas and Pignon, men whom she hasn?t seen for twenty years. And in order to force their hand, she tells them that Tristan is their son. Once upon a time in the west... Joseph, a modest farmer in trouble with a rich landlord who will do whatever it takes to get him off his land. Joseph is alone to fight, but when he runs out of arguments "in other words, bullets" he calls on the help of a professional to defend his rights. One little detail: this adventure does happen in the west, the west of France! President Bens' daughter has disappeared somewhere in South America. Campana, a private detective, comes back empty handed from an extensive search of the continent. There is only one thing left for Bens to do: send François Perrin, a man as jinxed as his daughter, to find her! So the unlikely pair starts off on their mission: the straight-laced Campana and Perrin with his burden of bad luck and his truckload of unflappable optimism. On his way to an audition for the part of a hitman, Grégoire blunders into the wrong room and signs a contract with the Mafia. 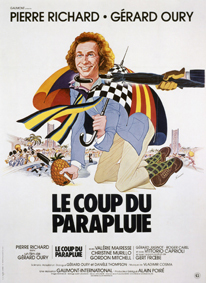 The actor's mission: to kill a wealthy arm dealer with a poison tipped umbrella during a party at a St-Tropez hotel. 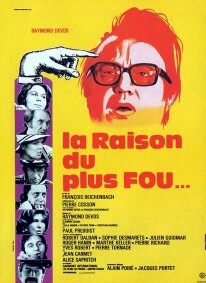 Grégoire, convinced the "plot" is part of the film script, takes off to the Riviera completely unaware of the impending dangers. Pierre writes for the movies but doesn't sign his screenplays. In other words, he's a " ghost writer " or, to be more exact, Georges Vallier's ghost writer, a very popular author of vaudeville. Pierre, whose wife is expecting a child, is thirsty for fame and in need of money. This is why he rebels. Lyon, May 1968. Martial Gaulard has been wrongly sentenced to death. Seizing the opportunity of a mutiny in the prison where he is being held, Gaulard escapes dragging his lawyer with him. A wild hilarious trek takes the two men all over France. They end up in Paris, where Jean-Philippe Duroc contrives to meet General De Gaulle and convinces him to pardon his client and henceforth friend. 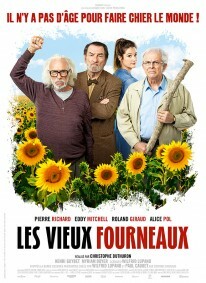 François Perrin is a jobless director, reduced to shooting a pornographic film. As his wife cannot prevent him from taking the dirty job, she decides to shame him by asking for a part in the production. Her audition is quite a sight... A film that pokes gentle fun advice immoderate fad of the seventies that rated the first X's in film history. 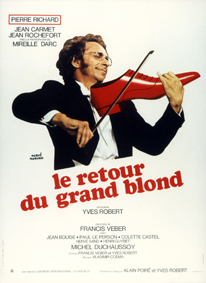 After a host of misadventures, the Big Blond Guy, the charming Catherine by his side, has left for Brazil wearing his black shoe and carrying his violin. Tough Toulouse's killers are too ham-handed to upset this Guy's well-deserved holiday. Everything would be fine if, in Paris, a lowly police captain with an acute sense of justice, weren't investigating Milan's bizarre death. Colonel Toulouse has a major problem when the Big Blond Guy returns... And everything starts all over again. Raymond, a warder in a rest home, borrows the director's car to drive two young boarders to the sea. 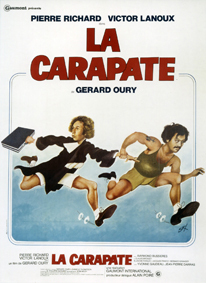 The enraged director immediately takes off with her husband in a stolen tank-truck to pursue the runaways. The film relates the chase, and its crazy ups and downs. Raymond Devos waltzes through the story like an odd tightrope walker. 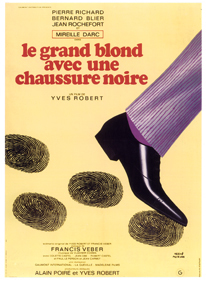 Bernard Milan covets Louis Toulouse's job - director of a secret service. To get rid of his overly ambitious assistant, Toulouse sends Milan off on a wild goose chase after a dangerous spy who is in fact just an ordinary Joe. So Milan starts shadowing François Perrin, an absent-minded violinist. This odd game of espionage entraps the three men in a web of hilarious situations as they go from one surprise to the next. Alfred, a young architect, was born under an unlucky star, all his undertakings fail miserably. Until the day he becomes a contestant on a TV game show and his luck turns, bringing him a succession of untimely victories.